Home » Audio/Visual » Cinema » Will “The Last Jedi” Deliver A Holiday Gift Or A Stocking Full Of Coal? Will “The Last Jedi” Deliver A Holiday Gift Or A Stocking Full Of Coal? I am an admitted Star Wars geek. I have pretended to be a Jedi (or a Sith, depending on my mood) since I was a young boy 4 decades ago. The adventures of Luke, Leia, Han, and the gang opened a galaxy of imagination to me; which wasn’t far, far away. Growing up as the only child to a single mother gave me a lot of alone time to come up with my own versions of how Anakin became Vader, what Obi-Wan was like in his prime, and what happened after the Empire fell. When it was announced in 1993 in Variety magazine that George Lucas was going forward with the prequels that would finally reveal how a Skywalker turns into a Darth, I was elated. I was going to finally see if my childish dreams would match up with the actual story! Then, Lucas made us wait another 6 years to unveil the highly anticipated Episode I. I waited in line for hours to claim my seat in the theatre in Southington, CT at midnight on May 19, 1999. The entire cinema crowd roars when the LOUD arrival of Star Wars exploded onto the screen. After the over 2 hour run time however, I left the theatre thinking, “What the hell was that?” As much as I tried, I just couldn’t invest in either Episodes II or III. It hurt me right in the childhood. I thought I was done with Star Wars forever. I had basically forgotten the franchise, delving into other sci-fi franchises over the years, when Halloween of 2012 came around. It was announced that Disney had purchased Lucasfilm for a little more than 4 billion dollars. I was suddenly confronted with a dilemma: would Disney turn the franchise into a money grubbing shell of itself geared more to children that go after anything shiny, or would they breathe new life into a stale story? Obviously, a new set of projects were quickly planned, including films, books, television series, & video games. Almost immediately it was announced that J.J. Abrams would be taking the helm of the first installment of a new trilogy, beginning with Episode VI: The Force Awakens. For the first time in years, I had hope. Hope that the grand old story could recapture my youthful love of the force. The film arrived, and I loved it. Yes, I know, the detractors say that it is a carbon copy of the original 1977 film; That Kylo Ren was a whiney brat, that yadda yadda yadda. These are the very reasons that it endeared me. It transported me back to that little boy that painted a broom handle blue to pretend it was my lightsaber. 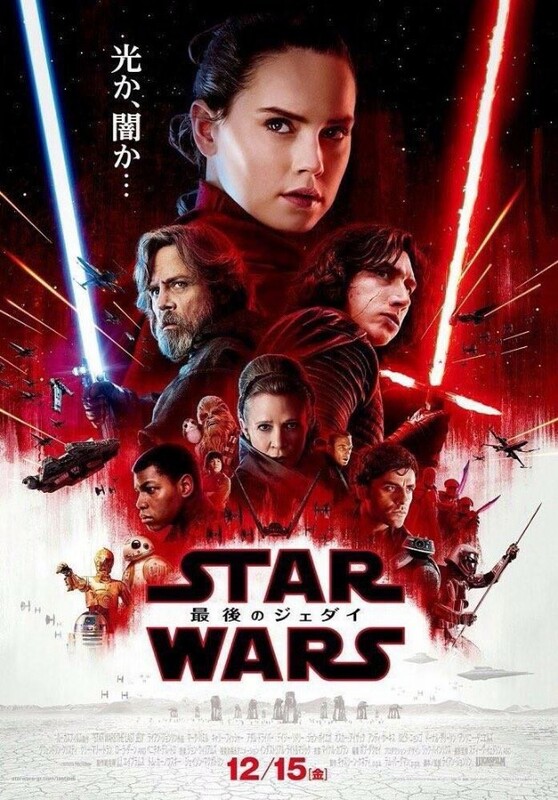 It was fun, fresh, a welcome return to the essence of Star Wars. Hopeless cases, on an impossible mission, against a powerful foe, with some serious daddy issues on the menu. Star Wars was alive for me again. This was followed by the Disney TV Series Star Wars: Rebels and the film Rogue One: A Star Wars Story, both of which explore the early years of the Rebellion, leading right into the start of Episode IV. All of this was said to bring us to the present. With a little over 2 weeks until the theatrical release of the next chapter, Star Wars Episode VIII: The Last Jedi, it’s time to get excited again, right? Then why do I have the sinking feeling that this is going to be a total nightmare? As I was telling friends, I have nothing but my gut intuition to base this on, but the trailers I have watched repeatedly have yet to wow me. I almost feel like I can see the plot unfolding already; Luke will train Rey, who through lack of discipline and foresight, will dangerously toe the line between the light and dark. There will be a side conflict where Finn will be in mortal danger, or that Rey will see in a vision. She will rush off to save him when he is fully capable of saving himself or he gets captured but not killed, only to confront her fill in the blank (relative, old childhood friend, pen pal, etc) and get a hand chopped off. You see where I am going with this? Now, before you say “Wait, you said you loved The Force Awakens because it was so similar to A New Hope”. I fully admit the contradiction. My response is that while I enjoyed the “remake” of the original, Episode IV was a great popcorn movie, a western set in space. The Empire Strikes Back was a masterpiece, dealing with living up to a father’s legacy, the conflict of true love that can drive you crazy, of a betrayal from a supposed friend and the redemption at the end. Most of all, it was the first film I could remember that did not end with a happy ending. Luke discovers the true nature of his lineage, loses a limb, Han is frozen and imprisoned. Everything has turned to crap and we, the audience are left hanging. Long story short, it isn’t something that can be easily duplicated. I hope that I am dead wrong; I hope this film will be the greatest Star Wars production in the history of art. I will be there on preview night, with my popcorn and a glimmer of hope in my heart, but I have to admit: I have a bad feeling about this.